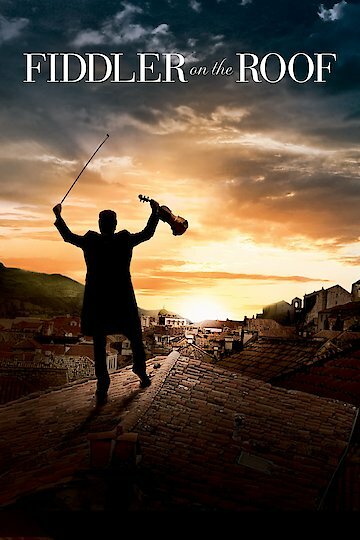 Fiddler on the Roof is a musical film adaptation of the Broadway play by the same name. Actor Topol plays the character of Tevya in a manner that is convincing and realistic. Tevya is the main character and narrator of the film, and we see how the story plays out largely through his eyes. Tevya is a poor milkman/farmer living in Tsarist Russia just after the turn of the century. He is also a Jew. During this particular period in Russia, the Jews were not looked upon favorably and were often persecuted. In the village of Anatevka, the locals are just grateful to be left alone for the time being. Tevya and his wife struggle to make ends meet while raising their five daughters. The film depicts very well the differing roles that people from the time period depicted play. The men were expected to work and study and the women to keep the home running. Throughout the village, each person has also their part to play in the community. The film depicts the Jews as being very devout to their faith even in the face of persecution. Watching the turn of events from Tevya's point of view is highly endearing. He often talks to himself and to God to try to determine the best course of action for his family. His daughters are nearly grown and old enough to make their own choices. As the head of the family, this causes Tevya some concern as he watches his children grow up and fly off in their own directions. The powerful musical composition by Jerry Bock and Sheldon Harnick truly adds depth and feeling to the movie. Tevya's song "If I Were a Rich Man" is one which nearly everyone can relate to. The closing song "Anatevka" shows the Jews being forced from their homes by the order of the Tsar. Despite these hardships, Tevya and his family try to look to the future with hope of better things to come. Fiddler on the Roof is currently available to watch and stream, download, buy on demand at Amazon Prime, Amazon, Vudu, Google Play, FandangoNow, iTunes, YouTube VOD online.